FIFA World Cup 2018 is coming soon, it’s going to start on 14th June 2018 and ends on 15th July 2018! 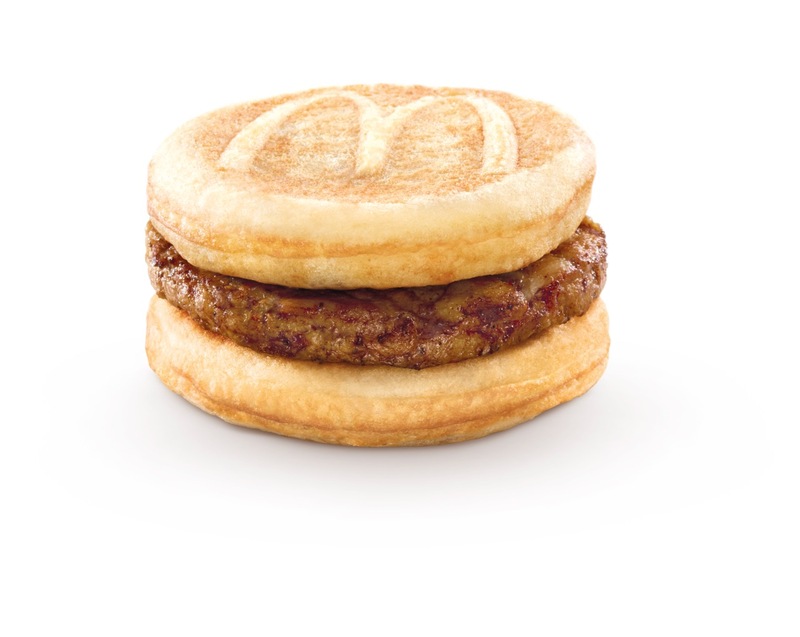 In Singapore, we are getting ready for World Cup 2018 and McDonald’s Singapore is also getting into action, they are adding six new players to their food line up, adding to FIFA World Cup 2018 excitement! All the six new players would be great additions to the line up, accompanying us watching World Cup 2018 matches here in Singapore during the month of football action at World Cup 2018 in Russia! 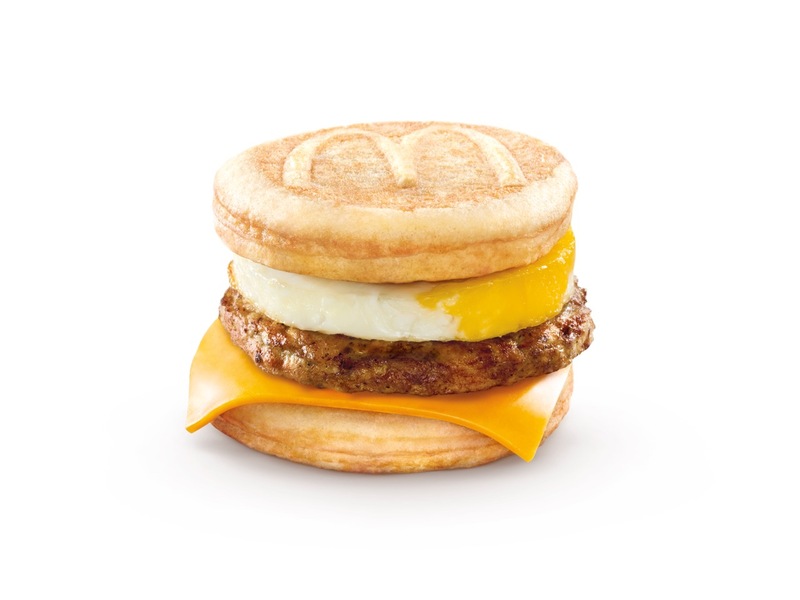 Featuring a delicious chicken sausage patty sandwiched between soft, maple-flavoured griddle cakes, the Sausage McGriddles® and Sausage McGriddles® with Egg will be returning to Singapore, and available ALL DAY – for breakfast, lunch and dinner. Made to perfection with tangy pizza sauce filling, the Chicken Pizza Kicks will make its debut à la carte and as part of the FIFA World Cup Edition Happy Sharing BoxTM. 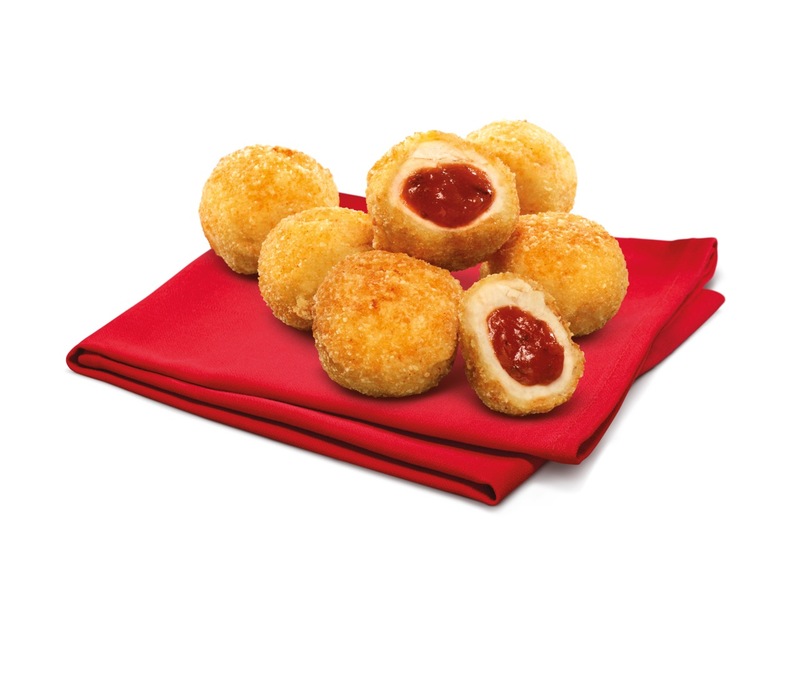 McDonald’s® launched its Happy Sharing BoxTM last month as a new way for people to bond and connect over shareable food. 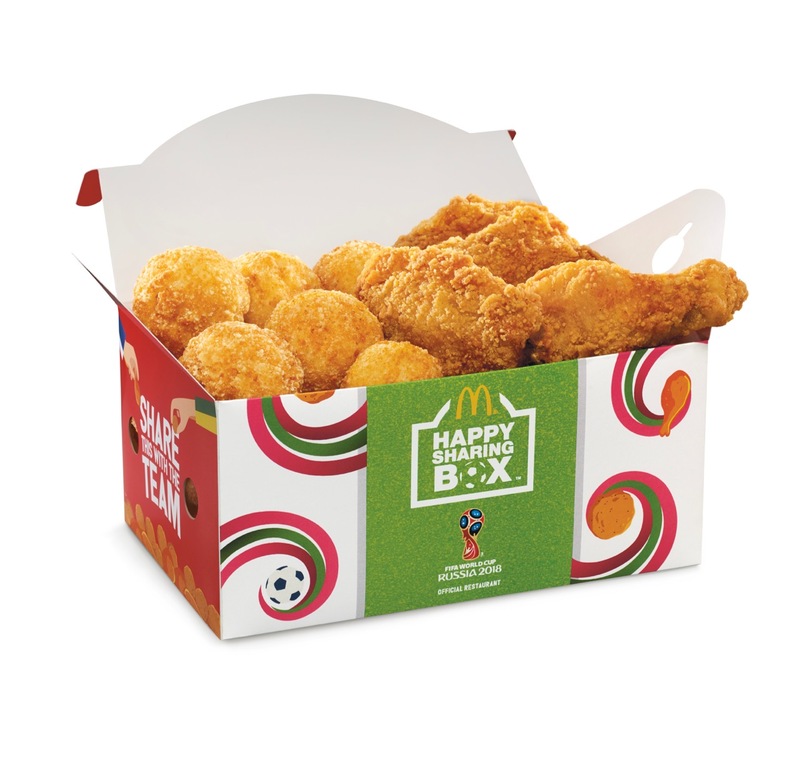 This World Cup season, the Happy Sharing BoxTM, featuring 12 piece Chicken Pizza Kicks and eight piece McWings®, guarantees that everyone will pass these small bites around the table, with the goal of creating an ultimate sharing experience. Served with hot fudge and crunchy OREO® crumbs, our new Party McFlurry® cup is bound to be a party pleaser. The new Party McFlurry® is double the usual McFlurry® serving, made for sharing moments so everyone can spread the excitement and great taste. 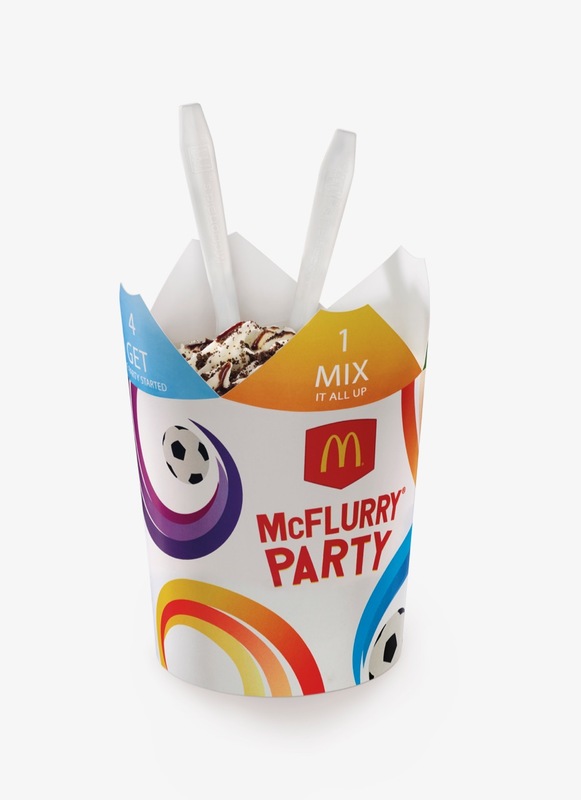 In addition to the Party McFlurry® , keep your eyes peeled on banana-flavoured versions of McDonald’s® milkshake and soft-serve ice cream exclusively at all McDonald’s® dessert kiosk. Full of banana goodness, the thick and creamy Banana Shake and Banana Cone – an interesting twist to the classic vanilla soft serve cone – will join the line up of dessert kiosk favourites to cool the World Cup fever down. Oh yes, to all football fans in Singapore! McDonald’s Singapore is giving us the full World Cup experience, they will screen live matches for free in 22 restaurants across Singapore! It’s time to enjoy the World Cup 2018 football fever with the six new players from McDonald’s Singapore! Happy FIFA World Cup 2018 to all football fans in Singapore! Which team are you cheering on during World Cup 2018? Here’s the list of McDonald’s Singapore live screening restaurants for FIFA World Cup 2018 in Singapore!